Steam rises as my iron glides back-and-forth on the blue napkin. The scent of damp cotton warmed by the iron’s heat floats up in a stream of steam along with childhood memories of watching my mother iron. She taught me. I was eager to learn. Pillowcases and napkins were the easiest to manage so that is where we started. I was nine or ten and ready to be a grownup. 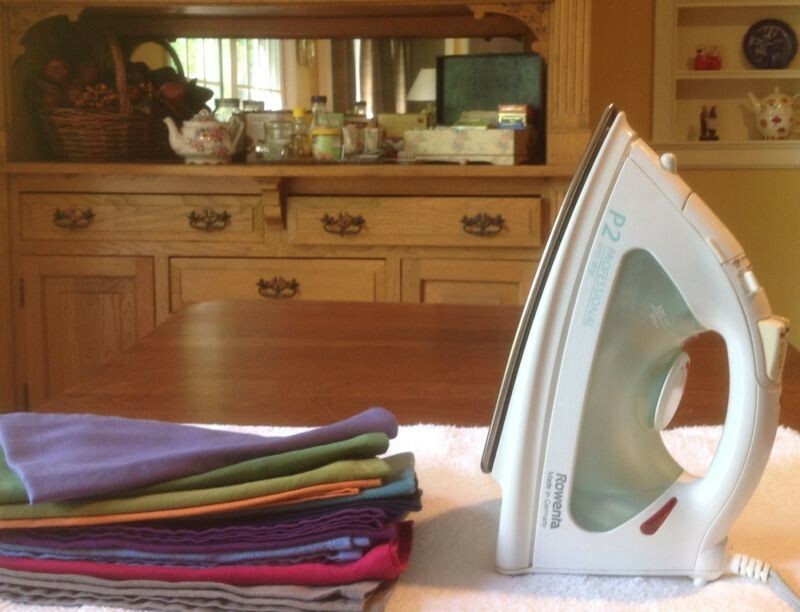 Then as a young wife and mother I spent hours in front of this altar of female domesticity, the ironing board. During those days, my enthusiasm to perform this duty became hard to find. But today, I am enjoying this now infrequent task. These napkins were used on the spring retreat in Saugatuck. Today this simple act connects me to the women who attended and the special moments we shared. 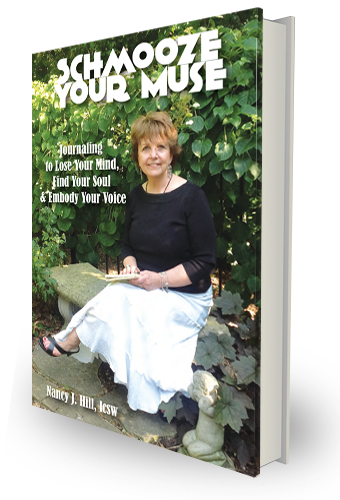 Part of the retreat process is to design a soul nurturing pause. Participants are given a block of hours each day to do just that. They flounder. They create. They question. They write. They shop. They walk in the woods. They sit at the beach. What they often encounter is discomfort when their hours have no prescribed structure. Our retreat process is a microcosm of learning how to create a inner-directed life. We have little practice at living an inside out life. In childhood, we are told when to go to bed, when to arise, eat, and leave for school. Once at school, bells ring so we know when to move from class to class. Adulthood has its structures also whether we work in home or marketplace. Our lives continue to be formed by external demands. To live an inner-directed life is to be drawn into action from the core of our being rather than to have our actions be driven only by outer demands. My hand strokes the warm napkins as I fold them into thirds and stack them one on top of the other. They are ready for the next retreat. I begin to wonder, what have I done with all the time I now have gained thanks to no iron, quick meals, and self-cleaning appliances that now fill our home? To defrost the refrigerator was a daylong chore. Oven cleaning days were spent engulfed in fumes of Easy Off. Have these laborsaving devices helped me be more loving, creative and present? These extra days and hours are rolled out like invitations. They offer time to create more soul nourishing activities. To act for the pure joy of an activity is foreign to many of us. We struggle to create meaningful pursuits when there is no overarching direction and no clear structure to our days. I know that busyness is a thief of creativity and “free-time” is its birthplace. Also, it’s clear that to create a life that is inner-directed we must become comfortable with boredom and restlessness. They are the twin guardians at the temple of authenticity. For surly we will encounter them as we attempt to live an inner-directed life. Meditation, ceremony, support of others and creative acts all help me move my attention from “out there” to “in here.” Which means I respond to the needs of others from a place of deep listening. It is not about blocking the outer voices but listening to them from my soul. This is a huge topic, one I continue to explore. It takes courage to make this shift in the noisy attention-grabbing world that surrounds us. Today this simple act of ironing brings me back to the pleasure of being present in an act of service. Once again, I am returned to the joy of living inside out.